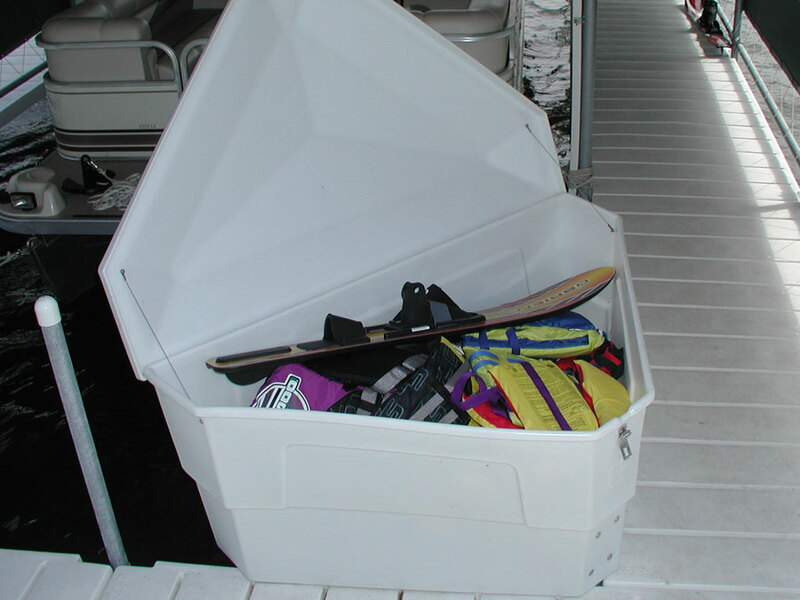 The Galv-A-Dock Triangle Dock Locker Box is designed to hang over the water on the inside corner of an opened or covered slip. It is large enough to store water skis, wake boards, life jackets, ski ropes, and any other gear up to 300 pounds. The box keeps equipment protected from the outdoor elements. The Galv-A-Dock Paddleboard/Kayak/Canoe/Sailboard Rack is a secure way to store any small non-motorized water craft. The Rack hangs over the water keeping the deck area free of crafts. 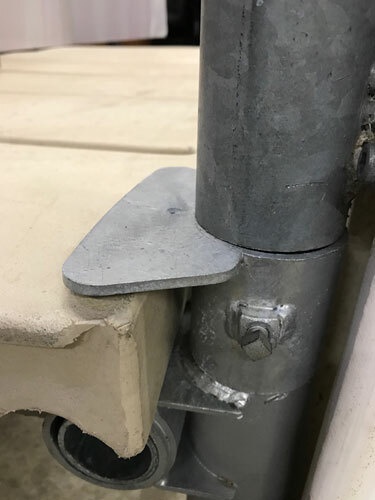 The Galv-A-Dock Deck Hold Downs are design to lock the decking to the underside galvanized steel framework. The deck hold downs are recommended where there is a large body of water that allows for large waves to build from high winds or where there is lake elevation fluctuation upwards during a boating season. The Galv-A-Dock deck hold downs allow you a peace of mind when either of the above issues happen. Also, when a severe storm that generates excessive winds and magnifies the size of the waves, your decking will always be secure and there will be no need to search for decks that go missing during the storm.